make shapes. action. and story. Caitlin Geier in Witness Pictures' Freelancers, fights choreographed by Chase Rivera. Directed by Ignatius Fischer. Action is not just spectacle. It’s a spectacular representation of the story’s soul. Dance and Fight Choreography are powerful physical acting devices that are subtle in nature but can often speak louder than dialogue. 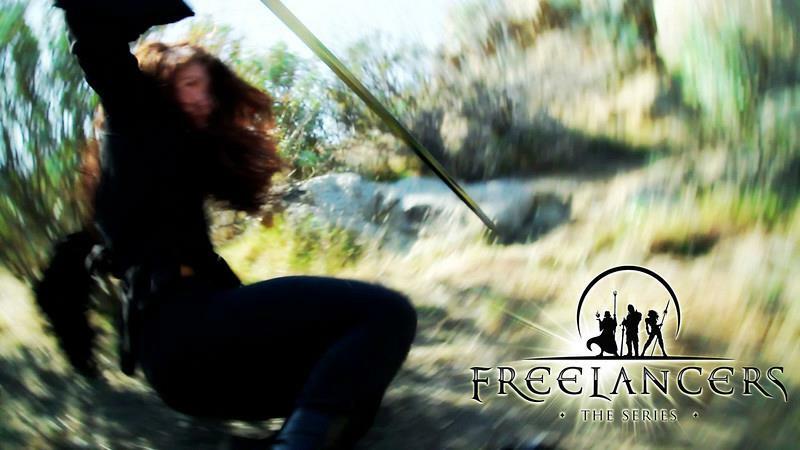 Blue8 provides dance and fight choreography For film, TV, music videos, New media content, theatre, and live events. Drawing from Blue8’s Comprehensive knowledge base in multiple performing art forms/styles including Dance, martial arts, tactical operations, weapons handling, parkour, aerial silks, & acrobatics, allows you to pursue incredible action-works and accomplish your vision. Blue8 Choreographers are well versed in movement design for the stage and/or screen. They are highly skilled, multi-talented, collaborative, and excited to devise amazing stylized movement sequences that depict your story through form and intention. Submit request for more information and pricing.